From Picasso's Cubism and Duchamp's readymades to Warhol's silkscreens and Smithson's earthworks, the art of the twentieth century broke completely with earlier artistic traditions. 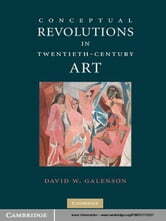 A basic change in the market for advanced art produced a heightened demand for innovation, and young conceptual innovators – from Picasso and Duchamp to Rauschenberg and Warhol to Cindy Sherman and Damien Hirst – responded not only by creating dozens of new forms of art, but also by behaving in ways that would have been incomprehensible to their predecessors. Conceptual Revolutions in Twentieth-Century Art presents the first systematic analysis of the reasons for this discontinuity. 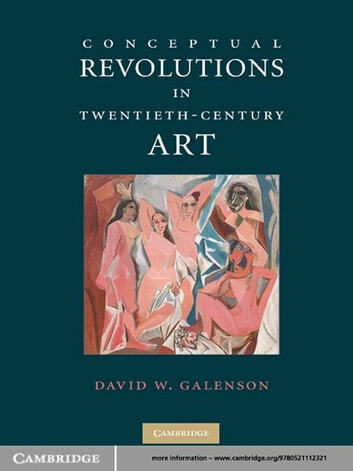 David W. Galenson, whose earlier research has changed our understanding of creativity, combines social scientific methods with qualitative analysis to produce a fundamentally new interpretation of modern art that will give readers a far deeper appreciation of the art of the past century, and of today, than is available elsewhere.